How would you describe cycling in Chicago? In the past few years, the number or bike riders has risen dramatically. Mayor Emanuel’s efforts to increase bicycling infrastructure (hat tip to Gabe Klein), the efforts of Active Transportation Alliance (Chicago bicycle and walking advocacy group), and the addition of Divvy (bike share) all have contributed to this. Perhaps Divvy helped the most — in terms of making bicycling visible and common. Most of the time, it’s faster to ride a bike than drive around Chicago. With a bike, it’s easy to get from one great neighborhood to another — and parking is never an issue. I live in a northern suburb of Chicago, and daily I utilize the Metra Rail system between home and work in Chicago. Folding bikes are permitted on all trains (full bikes are only permitted on non-rush hour trains). I bring my Brompton on the train, and find it’s the perfect ‘last mile’ vehicle to incorporate with the suburban rail system. Although the geography here in the midwest is very flat, I still appreciate my M6L when riding. The range of gears can get me started quickly, and keep me cruising as fast as the nearest bike messenger (but I won’t run the lights like some of them do). 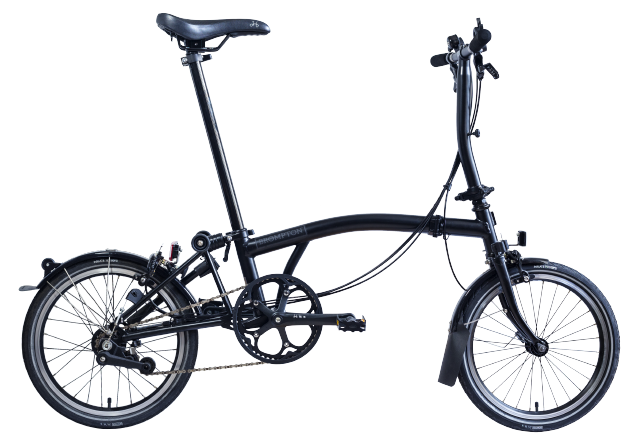 I also find the practicality of the Brompton has opened up my options for attending various social occasions around the city that I wouldn’t otherwise plan to attend. 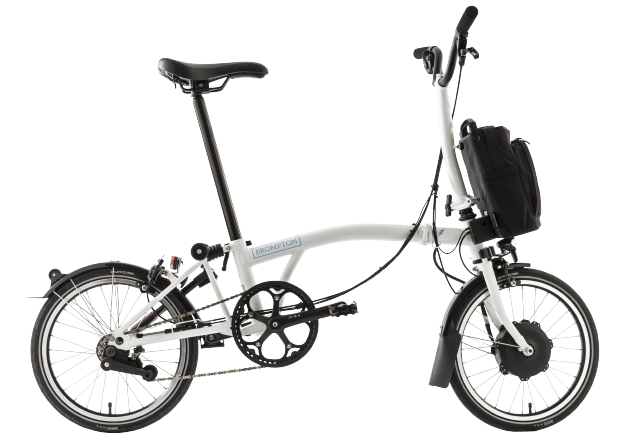 With the Brompton, I can get just about anywhere in Chicago in about 30 minutes riding, and I don’t have to worry about parking or locking up my bike (I just take it inside with me wherever I go). At home, I use if for occasional supplies runs in to town. In the past, I’ve hacked my Ortlieb Back Roller Classic onto the front block, but currently very much enjoy the Brompton Mini O Bag. I find the mini O bag is the perfect size for me to use on day trips, or as a ‘briefcase’ to take to work (note; It will not fit a standard laptop). In addition to commuting, I always take my bike on vacations (that we drive to). It seems there is always space in our car to tuck away my folded bike. I love having it with me for short practical rides to get supplies, or longer exercise rides. First it was for fun (and still is). Now it’s also about sustainability and exercise for me. 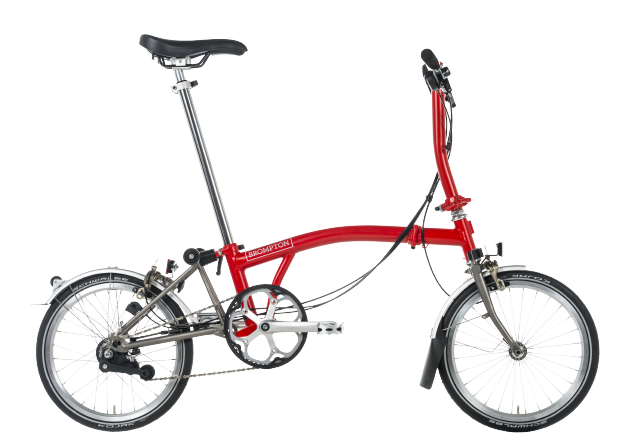 As far as how I got into my Brompton; As a designer, I’ve forever admired the innovative and long-standing design of the Brompton. Before I got mine, I’d occasionally stop Brompton riders around the train station downtown, asking how they enjoyed their bikes. Over several years, I learned a lot from those proud riders, so when my wife and I took a trip to Portland one summer, we rented two Bromptons from Clever Cycles. It was perfectly practical, lots of fun, and a great opportunity to test ride. A week after that trip, I bought mine! I affectionally call my Brompton ‘Winston’. I’ve also started a Chicago based group of Brompton riders, where we keep in touch and organize various rides together. What advice would you give to anyone considering cycling in Chicago? There are many good streets with bike lanes for getting around, and more bike lanes added every year. Getting a cycling map from ATA and using the city bike map site could be very helpful. The bike path along Lake Shore Drive is amazing, but can get very busy on weekends, with all types (joggers, bikers, rollerbladers, etc.) The path stretches from the south side of the city to the the north, and is an amazing way to experience the city on one side, and the lake on the other. Also, the Bloomingdale Trail runs east to west in the Humbolt Park area, and is as much a public park as it is a bike/commuter trail. Divvy is a great option if you don’t have a bike available. There are kiosks all around the city — they’re hard to miss, and the app is very helpful to locate bikes/kiosks. When you’re not commuting, where are your favorite places to visit by bike? One of the great features of Chicago is that is sits on the shores of beautiful Lake Michigan. It’s always a pleasure to ride to or along the lake to see what kind of ‘mood’ it’s in. Also, where I live the county forest preserve district has created a 60 mile path that runs along the Des Plaines River and runs from the north side of the city up to the Wisconsin border. It goes through woods, meadows, marshes and along the river, of course. Another great reason to ride is to visit the various breweries in the area. Lake Bluff Brewery in Lake Bluff and Tighthead Brewery in Mundelein are two of my favorites. My wife and I would love to tour rural France. We’re just starting to plan a three week tour but still have a lot to learn! Bike touring is one of my favorite things to do, as I find the pace of the travel is a great way to experience places while also being able to meet local people. Arriving on bike is so unthreatening, it seems strangers automatically are kind.